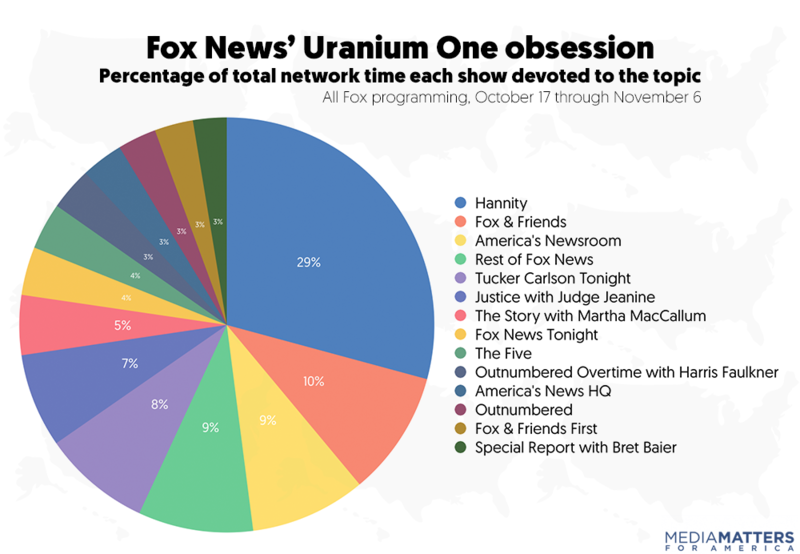 The hosts of each of these programs are among the president’s staunchest defenders on cable news. In particular, the president regularly watches Fox & Friends and praises its coverage. 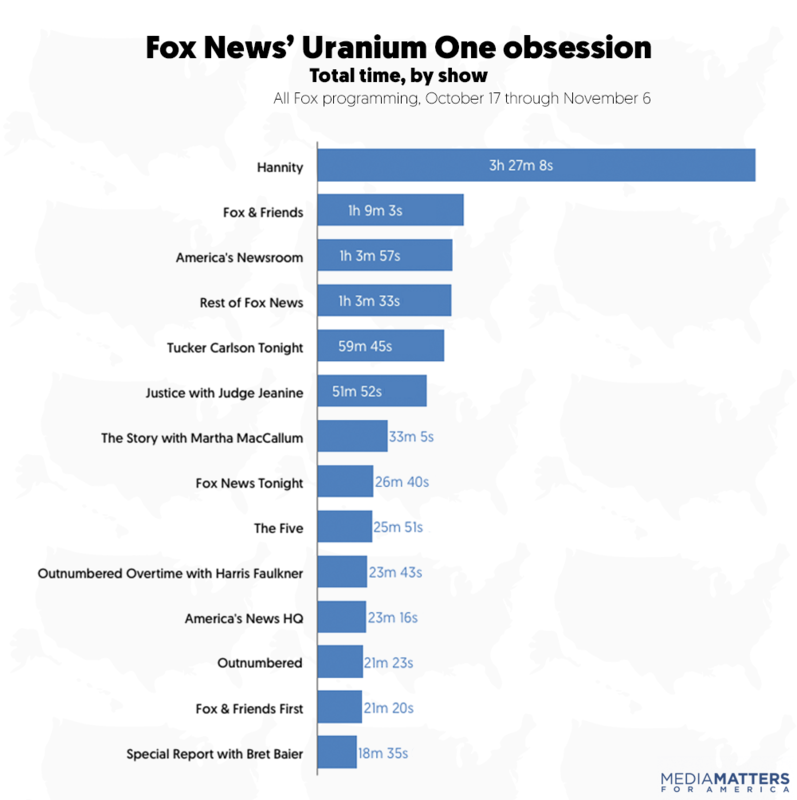 Fox anchor Shep Smith, whose work stands out at Fox for its commitment to accuracy and who at times has directly or indirectly criticized other Fox personalities for pushing falsehoods in support of Trump, notably did not mention the Uranium One story at all during the period of the study. The story was discussed on his Shepard Smith Reporting show for two minutes on October 27, when Trace Gallagher guest-hosted the program. 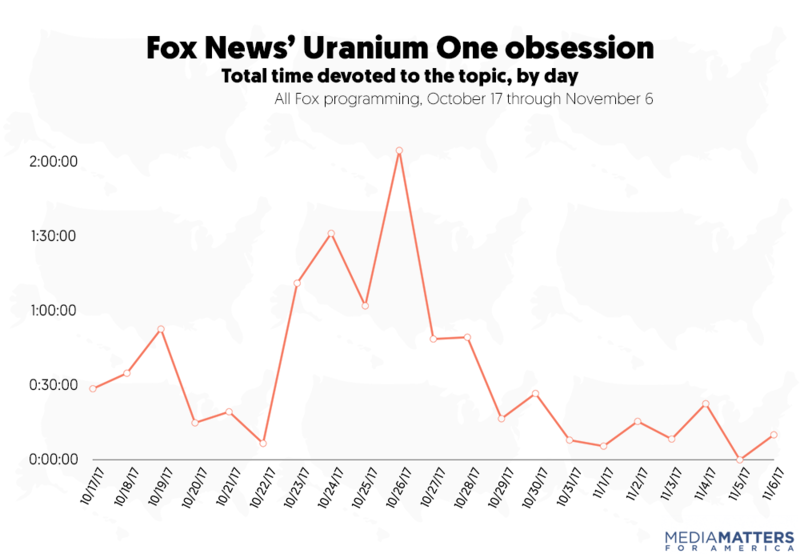 On October 24, Republicans on the House oversight and intelligence committees announced a joint investigation into Uranium One. 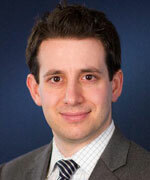 On the same day, Sen. Chuck Grassley (R-IA) called for a special counsel to review the deal. 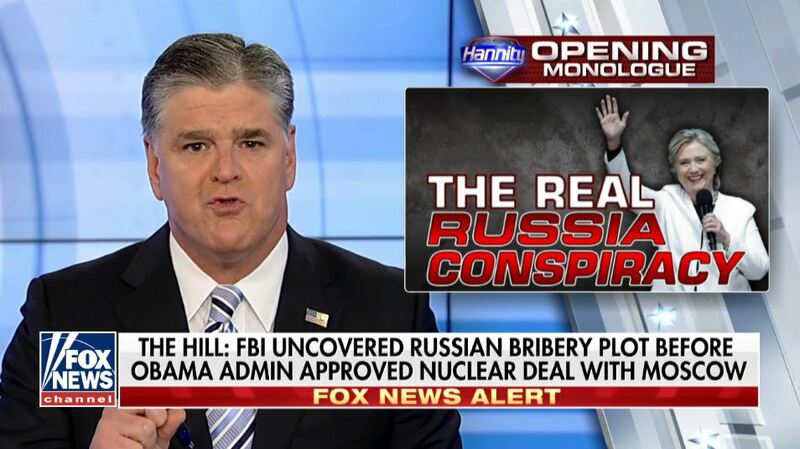 Trump termed Uranium One “Watergate, modern age” the next day, while October 26 brought the Justice Department’s announcement that Toensing’s former FBI informant client could testify to Congress about the deal.